Posted on Thursday, February 24th, 2011 at 8:15 am by Renat Tlebaldziyeu. 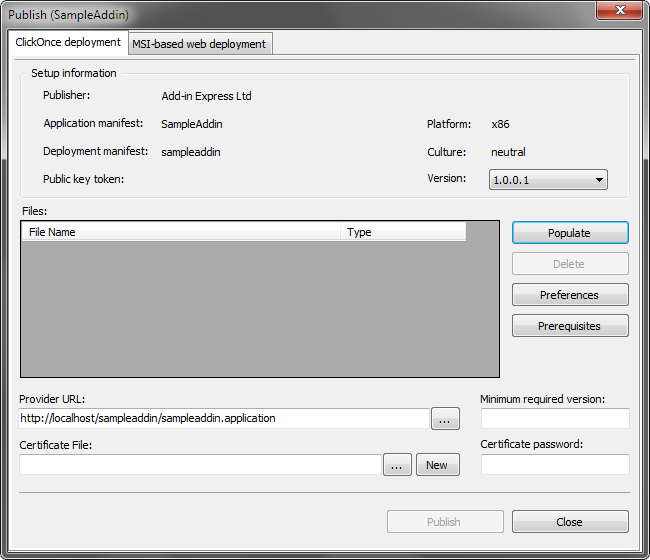 This is part 5 of the series of articles which describes all possible ways of deploying your Office extensions based on Add-in Express. I recommend you starting from the very beginning: Step-by-step deployment of Office extensions: Overview. Or, if you are interested only in ClickOnce deployment, please read Deploying per-user Office extensions via ClickOnce first. Every Add-in Express module provides the IsNetworkDeployed method, which returns True if your Office extension was installed via ClickOnce. Below you will find the steps required for deploying a new version of your Office extension. 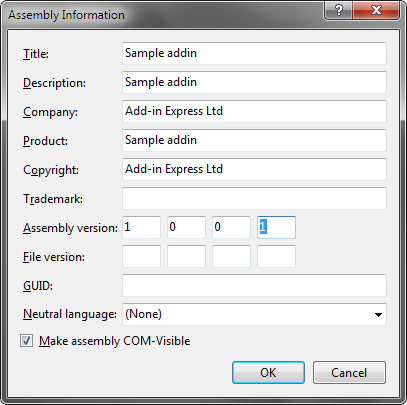 In the AssemblyInfo, increase the assembly version number of your project. Just build the Office extension project. 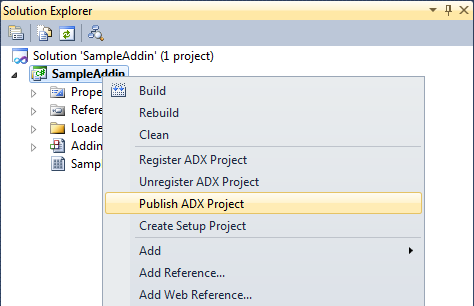 Select your project in the Solution Explorer window and choose Publish ADX Project in the project context menu (you can also find the same menu item in the Project menu in Visual Studio). 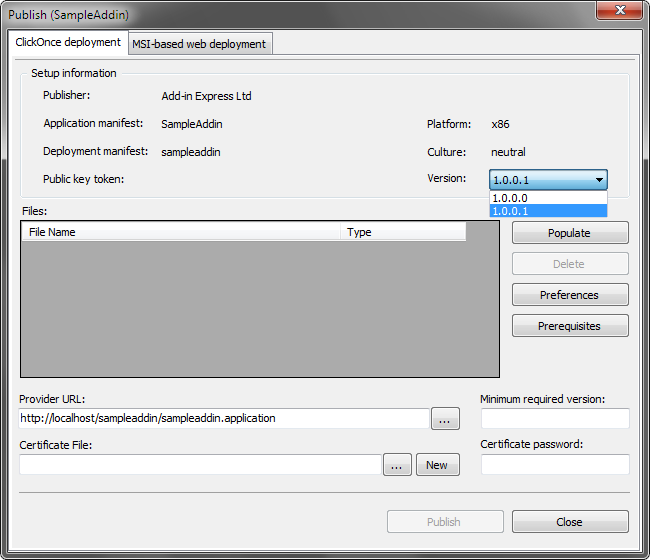 This opens the Publish dialog. Switch to the ClickOnce deployment tab. In the Version dropdown list, select the new version. Go to Step 5 of Deploying per-user Office extensions via ClickOnce to see how to publish your new version.